Wicked: The Untold Story of the Witches of Oz was the first Broadway musical that I remember watching live, and even sitting in a seat with an obstructed view did nothing to dampen the thrill of the show. I got goosebumps every time Elphaba’s voice soared high, or whenever the whole cast sang together. I bought the overpriced soundtrack CD, memorized all the lyrics, and delighted in spotting all the clever wordplay. Later, I found the soundtrack score and played the songs on the piano. I was obsessed. That was six years, a lifetime, ago. In the meantime, I’d forgotten about my passion for Wicked. The last time I remember singing “The Wizard and I” was freshman year in the dorm shower stall. So when I saw the Wicked 2016 calendar sitting on the shelf at the Valley Fair Mall, I felt like I had neglected a long lost friend. It was guilt that prompted me to buy the calendar, even though it wasn’t the prettiest I’d ever seen. 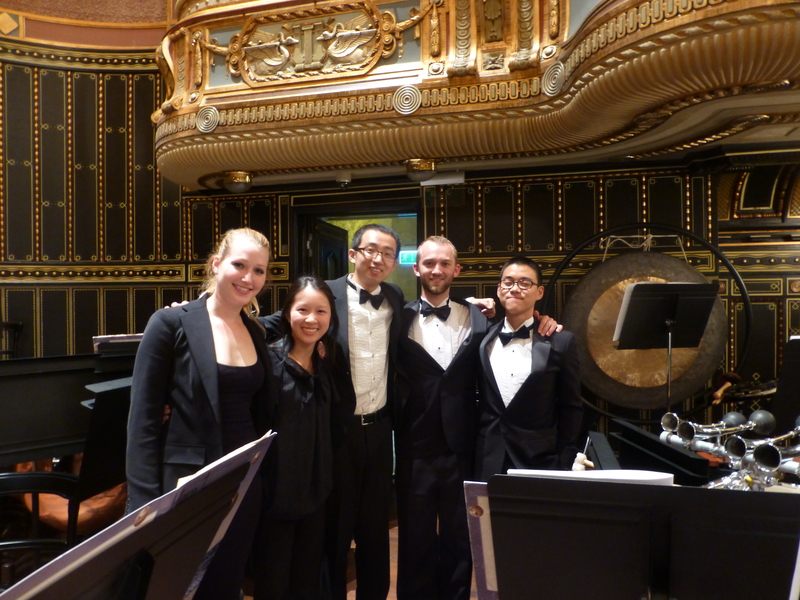 UCBSO Percussion Section on tour in Eastern Europe: Miriam, Alex, Ben, Jihoon, and me. After I left the UC Berkeley Symphony Orchestra in the fall of 2014, I had to answer the question, “Why did you leave?” many times. The simple answer is that I need time and space away from the orchestra to grow as a person and as a musician. Allow me to elaborate. As you may know, orchestra percussionists generally spend more time counting rests and waiting for entrances than playing actual music. Despite getting relatively good parts during my time with the UCBSO, I still encountered rehearsals where I sat for two hours and only played eleven notes on the tam-tam before cleaning up and going home. The few times I played in a high school orchestra, people urged me to switch to band because the percussion parts were better. I defended the orchestra back then, pointing out that even if I was sitting around for most of the piece, I got to listen to grand symphonies and the lush sounds of strings.I joined the UC Berkeley Symphony Orchestra my freshman year without a second thought. I had been playing in ensembles for all my life and joining orchestra in college was only the natural choice for me. During my two years with UCBSO, I still enjoyed incredible masterpieces while counting my hundreds of measures of rest. But as one semester stretched into four, each 7:30-10 pm rehearsal that I attended on Tuesday and Thursday nights began to feel longer and longer. I would look down at my watch after what felt like fifteen minutes and discover that only five minutes had passed. 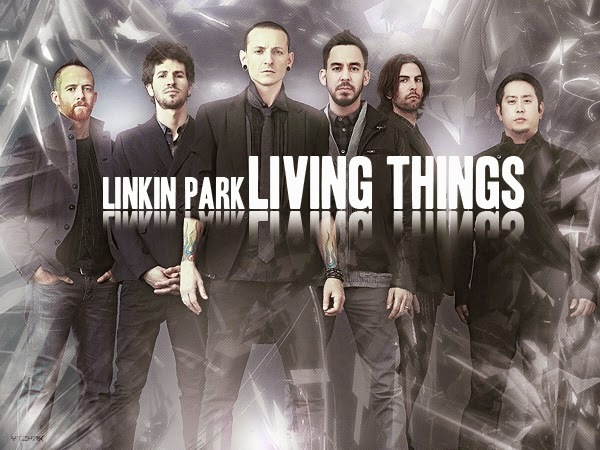 Linkin Park is back in their full pessimistic glory with the release of their most recent album, Living Things. Unlike their last album, A Thousand Suns, which made references to political statements with short clips of speeches–including Mario Savio’s “bodies upon the gears” speech in the powerful track “Wretches and Kings”—Living Things features lyrics that are based on personal experience. Linkin Park always had a gift for writing lyrics that were general enough to make every person feel as if they could relate, yet specific enough to distinguish each song from one another. Rest assured, listeners will experience more of the band’s raw rock power in Living Things.